The founder edition of the 2080 (ti) or gtx is postponed later this month, it was already 2 times postponed. Regarding to sell and the benchemarks.We still have to waith with those ones. Looks like the Batmobile from the back. Barbie wrote: Looks like the Batmobile from the back. He is ready for takeoff indeed just like the batmobil from batman. 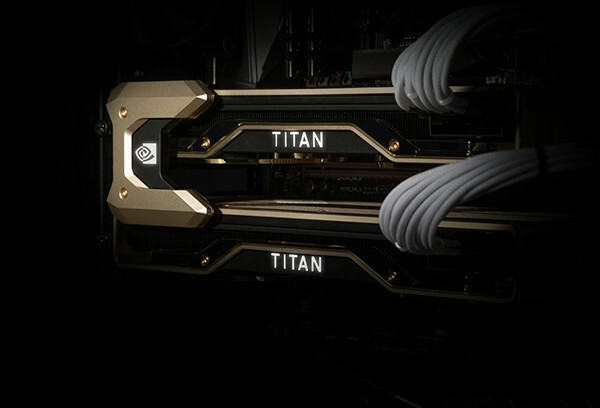 New titan videocard release from Nvidia with cuda cores. New videocard is optimized for autodesk and 3dsmax normaly used for autocad also. This card is very expencive and normaly not optimized for gaming. This card cost a stunning 2500 dollar with tax and transaction cost will the card be 3000,00 euro a piece. Card is optimized for deep learning also. And can set as sli option when you have 2 videocards 8 k video editing is then possible and that in real time. Please santa i believe in you can i have this card from you? Even much more dollars then the 2080 ti. rjmno1 wrote: New titan videocard release from Nvidia with cuda cores.